I arrived home from a recent duck hunt just in time to spend the following day snow blowing and shoveling for the better part of 7 hours. 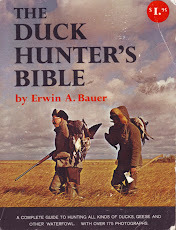 All things considered I was no better off staying in Klamath County hunting ducks. The freeze is upon us now and here for the duration I'm afraid. Morning temps well below zero and a high in the teens. I had only made two trips to hunt waterfowl and now all the flooded fields are solid ice and the Klamath river also now with dangerous shelf ice and the potential for a full freeze across it's width. It has been many years since I've seen that river froze up tight as a drum, but this may be the year of a repeat performance. When I awoke at 3 a.m. Monday morning due to high winds slamming the little cabin and it's creaking sounds, I was hoping to get back to sleep for a short while. I never did and finally got up at 5 a.m. to a chilly 41 degrees inside, brrr. I fired up the wood stove and said hello to Jet and stalled her from her breakfast for as long as possible. Her internal clock is far better than any watch I've ever owned when it comes to her meal times. I got my cereal and coffee going and snuggled up to the wood stove. I mentally went through the packing of gear and cabin shut down checklist. The previous night it had snowed 5 to 6 inches and the west winds whipped up the Klamath into a fine froth of whitecaps. On Saturday afternoon when we arrived it was brisk and quite comfortable. We took a lap around to jump our favorite ditches. We did get a nice Mallard, 2 Ring Necked ducks and we flushed a few Snipe, of which Jet made nice retrieves. In hindsight I wish I'd spent more time focused on hunting Snipe, as this was one of their last nights spent here before continuing on their migration south. Some of the ditches had thin layers of ice forming as did the flooded fields. Very few ducks in either places with the exception being the Klamath River where there were quite a few divers. On Sunday the weather was turning colder with snow flurries, strong winds and white caps on the river. Jet stayed in the cabin as it was to dangerous for her to go in the river and I didn't want to take any chances. With her hearing about gone she is on auto pilot when a bird goes down and I didn't want her to get into trouble, or myself for that matter in rescuing her. I had a few good shots on a drake Spoonie and 1 Pheasant. The Spoonie was close enough for me to wade to it. I had to work hard to find the Pheasant, as he piled into a wide swath of tule's next to the river. This particular patch is dangerous because it has hidden water holes that are quite deep and ones footing is somewhat challenging. 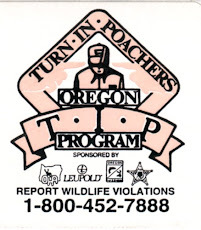 Tough enough for hunters but even worse for our 4 legged partners. They get more tangled that one can imagine, plus if they go front feet first into a water hole it can be life threatening. I've had to pull Jet out a time or two before when she's gotten herself into a predicament. When she gets that Pheasant scent in her head she is like a dog on drugs, she will not stop until she flushes them or I physically pull her out of there and convince her to come with me. Pheasants truly are her drug of choice. Back to my story of retrieving the Pheasant without Jet's assistance. I spent a good 1/2 hour looking and had no luck finding the bird. I decided to walk the dike towards the old boat dock and loop around the field side of the dike in hopes of flushing the other rooster that I missed. After the better part of 1 and 1/2 hours I never did flush the second Pheasant and was now back up river from where I had dropped the Pheasant. I looped back to the river side of the dike and proceeded to go look some more for the downed Pheasant. I again "marked" the point from where I shot and took a straight line and this time after about 15 minutes I had succeeded. I was out to far before and made my way back in just a little and there he was crumpled in a pile, still warm to the touch. I was ecstatic as I hate to lose any bird or animal that I shoot. I was laughing to myself that Jet typically goes to short and now I tend to the opposite. Somewhere in there is a happy medium I'm sure. I felt like I deserved a can of Alpo for my efforts. Throughout the day the snow squalls came and went as did the gusty winds. I retired to the cabin before quitting time and was happy to get my birds field dressed before darkness set in. The temperatures plummeted that night and I wondered if the cabin pipes would freeze and if there would be any birds left come morning. I knew with the temps being in the single digits the only open water was going to be the river. While I love to hunt the river it's no place to be by yourself in a winter storm. Even in fair weather early season hunts, I won't use my boat unless I've got a friend hunting with me. So the stage was now set for the arctic blast and big freeze of 2010. Jet and I hit the pavement at 0630 after a windy night in the cabin. The roads were glazed ice and not more than 3 miles down the road did I see my first SUV in someones front yard with a sheriffs patrol vehicle next to it. Driving north along the Upper Klamath Lake is a dangerous and treacherous piece of real estate. We drove slow and steady reaching home in a little over 3 hours for 120 miles. Happy to be home and looking forward to a good nights rest before we had to start the chore of snow removal in the morning. As I sit here and type this story I am thankful for many things, even the ability to do the not so fun ones like snow removal. Jet and I want to extend our very best to you and your family and friends for a wonderful Thanksgiving. Please take a moment and think of those who are serving this country in harms way and their loved ones. We are fortunate to live in a wonderful country and lets not forget that freedom is not free. Happy Thanksgiving everyone! Be safe out there. Cabela's, thank you for returning my phone calls! Yes you did read that right, they did return my call and as a result I am now officially a Cabela's Field Tester. Well it was a little more involved than that but I'll spare you the minutia. While I can not discuss the details of specific products, I can disclose that I will be testing waders and various types of outdoor footwear. I am thrilled to finally be in a position to have input and feedback where it is most needed. I feel strongly that if the womens market in hunting and outdoor pursuits is going to continue to grow, then the industry itself must do the same in offering more choices of quality gear to women. In a down economy such as what we have currently this is no easy task. Ultimately it falls to the bottom line and we must continue to voice our opinions far and wide to make this happen. I have no doubt that eventually we will see major changes in this area. In my opinion persistence is paramount and I'll be the first to admit that it can often be a frustrating venture. None the less if you love the outdoors and hunting as much as I do, then we will continue to participate regardless of having to make a few alterations along the way. Eventually I look forward to the day when we have as many choices as the men when it comes to camo clothing, materials, footwear and all in women's sizes that fit, right off the rack. What a great day that will be. I am excited about this new venture with Cabela's and will keep in mind the big picture that this is for all of us. So please continue to leave suggestions or email me personally and I'll continue to update the Hunting Gear Needed For Women page. Also the more we can involve men in this discussion the louder our voices will be, as it is still mostly men who are the decision makers within the largest outdoor corporations. I am optimistic about the future of women's gear and will not stop asking for more choices of top quality clothing, and hard goods. So if one of you has a pet peeve about clothing, or some other related hunting item I encourage you to be persistent and go after it. Each one of us does and can make a difference so speak up and speak often! I have just returned from my first duck hunt of the season. For the month of October I was busy chasing deer and elk and not having any luck with either. Fortunately I am much more successful with bird hunting. I will save the story specifics for a future post. 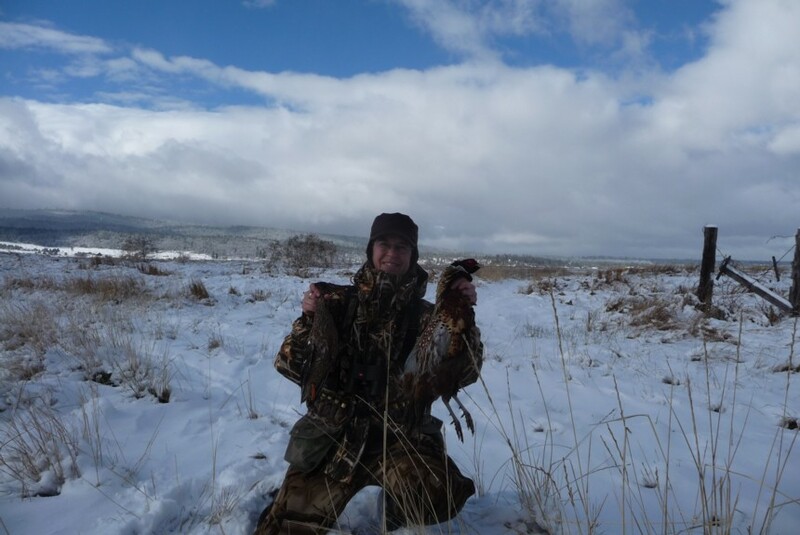 While it was a wet couple days in the Klamath basin of southern Oregon I was both hunter and retriever, since Jet's retirement announcement last year. Which brings me to puppy news, yep there is a new member to my family. She is a beautiful Yellow Lab born on Sept. 6, 2010. I have struck a deal with the owner/ breeder and he will train her in trade for a one time breeding. Her background is superb as the Sire is a 6 time Master Hunter qualifier and is in the Hall of Fame while the Dam is a 2 time qualifier. 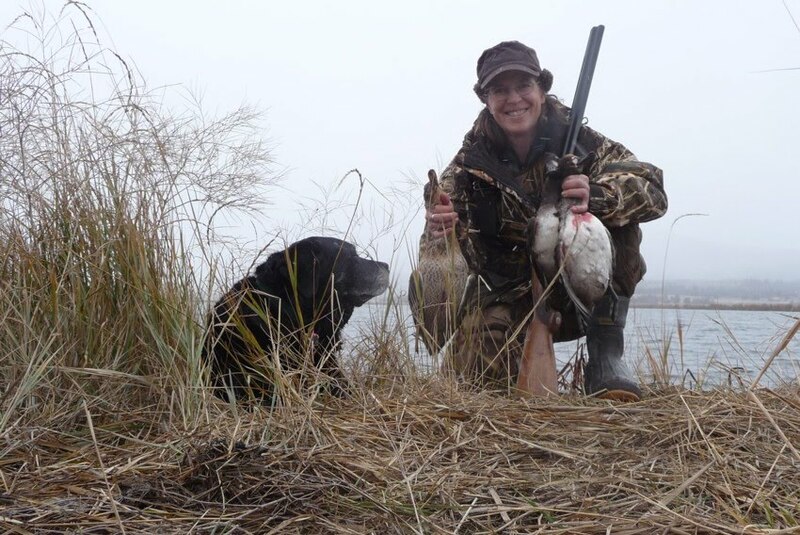 Both parents are Oregon natives with the Dam being the breeders own hunting dog. I am so excited to have found her and now I need help with a name. I am open for ideas and prefer a single syllable call name. Her dad's name is Judah and her mom's name is Spice. She hails from Royal Flush Retrievers in Sister's Or. I will get puppy pics posted soon as I can. In the meantime here are her parents links, Minoggie Kennels & Royal Flush Retrievers. In regard to my Cabela's post I want to personally thank the following individuals for their input and support to increase awareness about the inequities that remain in the lack of outdoor clothing and gear choices for women hunters. Equally important and valued are the men who support this endeavor too. Barbara Baird of The Won, Suzee at Base Camp Legends, Karen at Gordon Setter Crossing, Rebecca at Outdoor Blogger Network, Laura at The White Tailed Doe, Rogue Huntress at Hunt Like You're Hungry, Alisha at Oakie Rednecks and Jennifer at Milkweed and Teasel. It has been snowing all day and I am eager to get back out in the field before the big freeze arrives and puts an end to our dabbler hunting. This happens usually around the end of Nov. and the beginning of Dec. which then leaves me hunting for Canada Geese in the fields and divers on the Klamath Rv. Either way I look forward to the upcoming challenges of what this season will offer and what I will learn. I will take Jet out for some short, easy hunts to keep both our spirits up this season. For the most part she is doing quite well and has the heart of a Lab, never wanting to surrender. I cherish our time together and she gets the royal treatment in her golden years, so to speak. I'm sure we can find her a few birds to retrieve this season. Thanks to all my readers for your continued support, encouragement and comments. Without your input there would be no Women's Hunting Journal, cheers to all of you!